Hello ladies, Welcome to ELEVENTH Gown Studio! 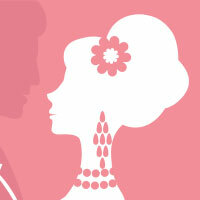 We've been helping brides since Feb 2013. If you’re looking for the beautiful bridesmaid dresses or evening gowns for the special occasions, then you’re already at the right place. We are an online gown studio owned by Eleventh Collection in Malaysia. We take pride in serving you with beautiful, high-quality and affordable dresses that make the occasions in your life, all the more special. All of our dresses - whether standard or custom sized - are made to order, so you’ll know on your special day that the dress was made just for you. 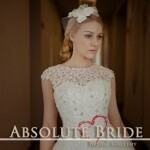 We do offer a custom sizing option for selected gowns collection. What does this mean? We customize your bust/waist/hip areas to fit your measurements. We also adjust the length according to your height and your heel preference, easing the burden of some of your post-purchase alterations. Even though a dress is made with your measurements, each person’s body is unique and your dress may still need additional alterations from a local fit professional. We have been passionately in being an environmentally conscious brand. The fabrics are only cut after your order is placed, which means minimal waste in the production process. 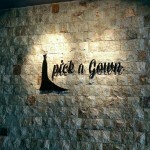 At Eleventh Gown Studio, every cost you spend goes directly into the design and materials of your dress. We are an e-commerce brand with a personal touch. If you have any questions about our dresses or would like to seek more advice from us, please write to admin@eleventh.com.my. We are here to help. My bridesmaids looked stunning in their dresses! 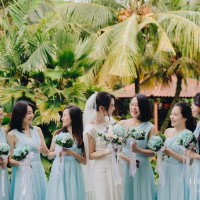 All the maids ordered different style dresses in the same color and it turned out beautiful! They all had nothing but good things to say and the whole process was very smooth. I would recommend Eleventh to any bride-to-be!